Christian Lell is back in full training after his injury. It will take him some time to get to peak form though, and competing with Lahm for the LB position will not be an easy thing. But he was impressive in pre-season, so Magath might give him a run or two whenever he'd feel like resting Lahm. great news .. WB Lell ! He might actually play on Saturday against St Pauli... he's ruled himself fully fit for that match. 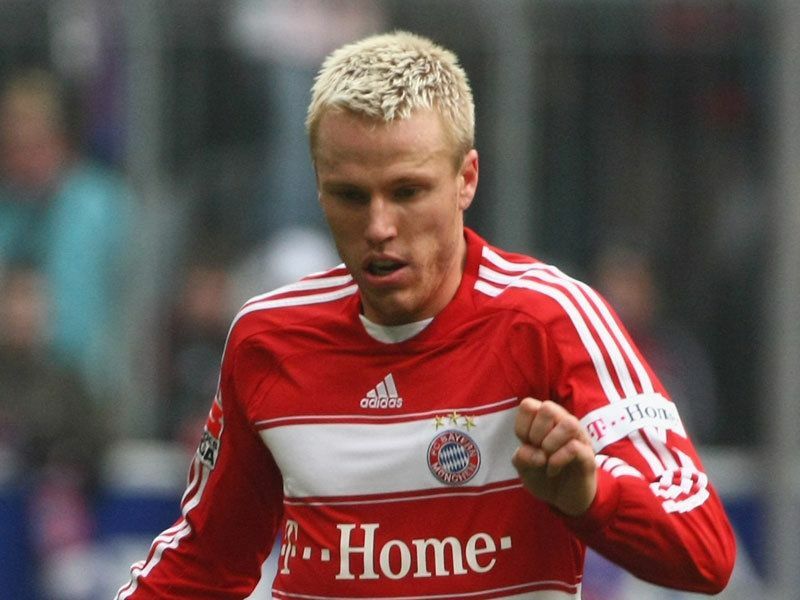 Bayern Munich midfielder Christian Lell has put pen to paper on a new deal to keep him with the German double winners until 2009. The versatile 22-year-old has found himself deputising both at right back for Willy Sagnol and in midfield for Owen Hargreaves this season, and coach Felix Magath said the decision to call him back after a 2-year loan spell at Cologne had proved correct. "Lell has developed into a reliable and very important player for us," he commented. "I am happy that he has decided to commit his future to FC Bayern until 2009. Raider (1996-2007) - A very lovable cat that I will miss dearly. According to reports coming from Italy, Fiorentina are interested in Lell. Perhaps we can give them Lell + cash in exchange for Toni? i would prefer klose or huntelaar. lell hasn't a CL level (could be better in the future) but all team can't be full of stars and he is from munich and young so i would keep him. WALLS™ CEO OF METAL - F$CK with the bull,you get the horn. no lell's s**t....did you watch him against HSV and Stuttgart? Matakos wrote: no lell's s**t....did you watch him against HSV and Stuttgart? But he was so good against Milan at San Siro! Bayern Munich defender Christian Lell has agreed a new two-year contract extension with the Bundesliga champions. The 23-year-old has yet to put pen to paper on the deal, but Bayern executive manager Uli Hoeness confirmed that an agreement has been reached. Lell had been contracted to the Bavarian giants until the end of next season, although he will be tied to the club until 2011 once he signs his extension. "We have sorted things out with him. He has agreed to stay for two years, so through to 2011," Hoeness told Kicker. Lell has enjoyed an excellent breakthrough season at the Allianz Arena, making a total of 42 appearances this term.